The ASUS Geforce GTX 1070Ti ROG Strix features not only excellent performance but also a semi-fanless mode where the fan only spins when the GPU reaches 50°C. 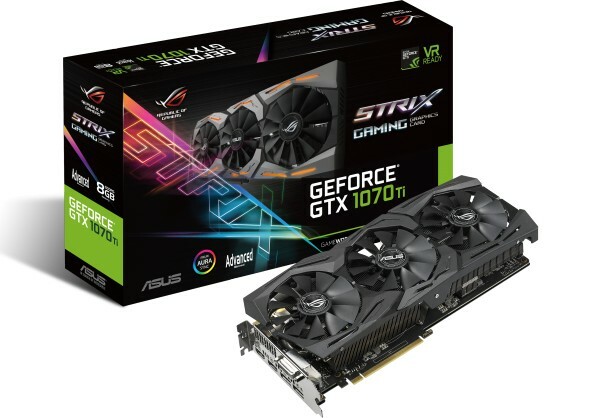 The ASUS 1070 Ti ROG Strix graphics card is more targeted to gaming enthusiasts but is also great for people that are new to gaming, you can become immersed within the intricate details of this card allowing you to enhance the performance using GPU Tweak II or the visuals using AURA Sync. 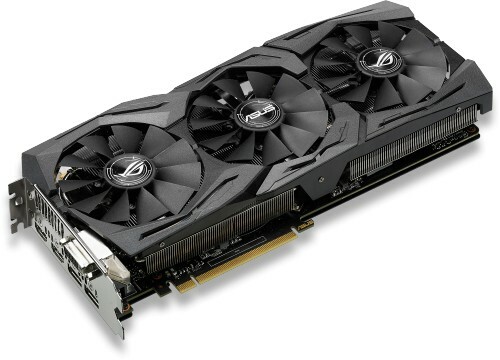 All this technology is encased in a great design which let you push your games further. 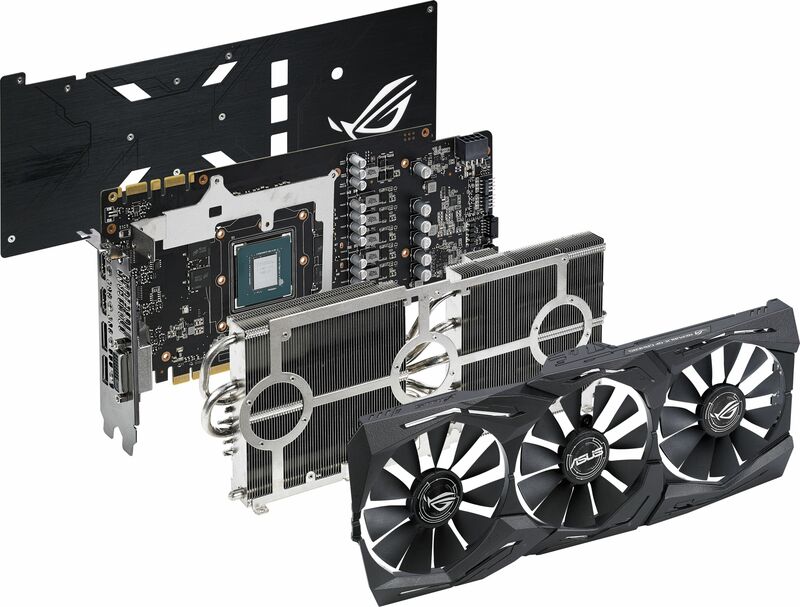 The ROG Strix 1070 Ti features the most advanced lighting system ever put onto a graphics card, the AURA lighting can be seen on the top and bottom of the front with the ROG logo on the backplate. AURA is capable of displaying millions of colours using six different effects that will allow you to personalise your gaming system.